Brian Fitzpatrick is Founder and CTO of Tock. Brian started Google’s Chicago engineering office with Ben in 2005 and led several of Google’s global engineering efforts, including the Data Liberation Front, and Transparency Engineering. He also served as internal advisor for Google’s open data efforts, having previously led the Google Code and Google Affiliate Network teams. Prior to joining Google, Brian worked as an engineer at Apple, CollabNet, and a local Chicago development shop. 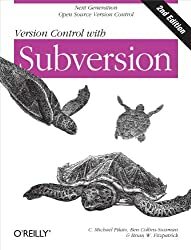 Brian has written numerous articles and given dozens of presentations, including cowriting Team Geek: A Software Developer’s Guide to Working Well with Others, Version Control with Subversion (now in its second edition), and chapters for Unix in a Nutshell and Linux in a Nutshell. Brian has an A.B. in Classics from Loyola University Chicago with a major in Latin, a minor in Greek, and a concentration in Fine Arts and Ceramics. He resides in Chicago.